Henry SWANN was born in 1757 in , Charles, Maryland. He died in 1783 in , Charles, Maryland. Henry married Anne DYSON on 29 Dec 1777 in All Faiths Parish, St. Mary's, Maryland. Anne DYSON was born on 6 Sep 1759 in , Charles, Maryland. She died on 27 Aug 1817 in , , Virginia. Anne married Henry SWANN on 29 Dec 1777 in All Faiths Parish, St. Mary's, Maryland. F i Ann SWANN was born in 1779. She died on 14 Feb 1857. Mr. NAPPIER was born about 1846 in , Henrico, Virginia. Mr. married Frances "Fannie" ALLEY. Frances "Fannie" ALLEY [Parents] was born in 1750 in Petersburg, Petersburg, Virginia. She died in Jul or Aug 1777 in Near Fort Blackmore, Scott, Virginia from Slain & Scalped by Indians . Frances married Mr. NAPPIER. NAPPIER was born in 1769 in , Henrico, Virginia. He died in 1777 in Near Fort Blackmore, Scott, Virginia from Tomahawked & Scalped by Indians . NAPPIER was born in 1771 in , Henrico, Virginia. He died in 1777 in Near Fort Blackmore, Scott, Virginia from Tomahawked & Scalped by Indians . NAPPIER was born in 1772 in Of, Washington, Virginia. He died in 1777 in Near Fort Blackmore, Scott, Virginia from Tomahawked & Scalped by Indians . 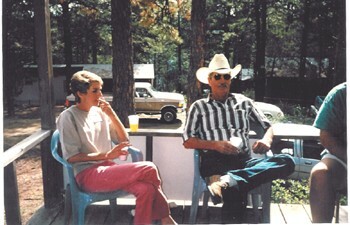 Sandy Ray ANDREWS [Parents]. Sandy married Kathy. Kathy. Kathy married Sandy Ray ANDREWS. F ii Melinda V. ANDREWS was born on 8 Nov 1979. She died on 26 Jun 2004. David CURDIE. David married Melinda V. ANDREWS. 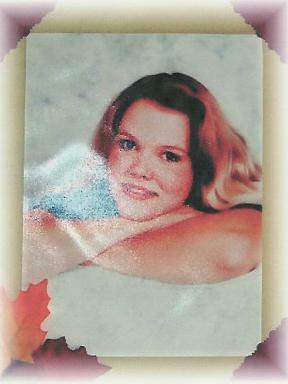 Melinda V. ANDREWS [Parents] was born on 8 Nov 1979 in Modesto, Stanislaus, California. She died on 26 Jun 2004 in Fernley, Lyon, Nevada. Melinda married David CURDIE. Larry Wesley SMITH [Parents] was born on 11 Aug 1941 in Lubbock, Lubbock, Texas. Larry married Nancy THACKER. Nancy THACKER. Nancy married Larry Wesley SMITH. Larry Jay SMITH was born on 18 Sep 1964 in El Paso, El Paso, Texas. Gary PARKER. Gary married Jeanine ANDREWS. Jeanine ANDREWS [Parents]. Jeanine married Gary PARKER. Howard SHINDLER. Howard married Betty Levona ANDREWS. The marriage ended in divorce. Betty Levona ANDREWS [Parents]. Betty married Howard SHINDLER. The marriage ended in divorce. SCHWARZOTT. SCHWARZOTT married Katie SHINDLER. Katie SHINDLER [Parents]. Katie married SCHWARZOTT. Michael "Frank" BENNETT. Michael married Betty Levona ANDREWS. Betty Levona ANDREWS [Parents]. Betty married Michael "Frank" BENNETT. Jimmie Clelle ANDREWS [Parents]. Jimmie married Robin Kaye LAWSON on 30 Aug 1980 in Modesto, Stanislas, California. Robin Kaye LAWSON [Parents] was born on 22 May 1956 in Dos Palos, Merced, California. Robin married Jimmie Clelle ANDREWS on 30 Aug 1980 in Modesto, Stanislas, California. F ii Bobbie Leigh ANDREWS.